Close enough to just walk! 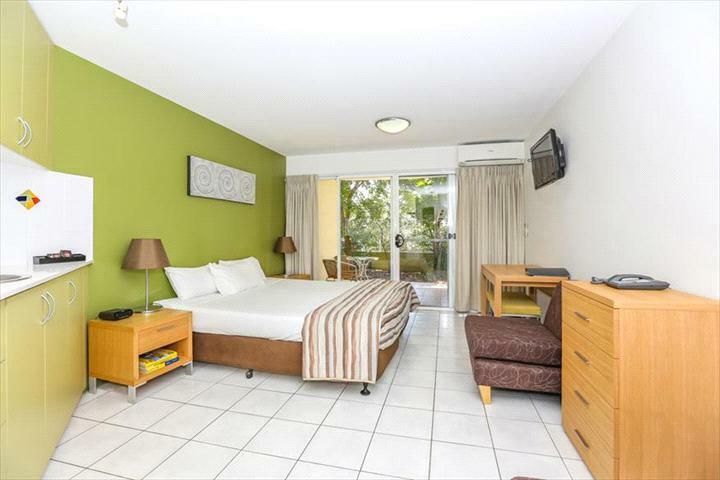 These modern Studio, 1 & 2 Bedroom suites offer the guest some lovely facilities surrounded by lush gardens & trees. With in-ground pool, heated spa & outdoor BBQ entertaining area, disabled unit, phone & internet facilities. 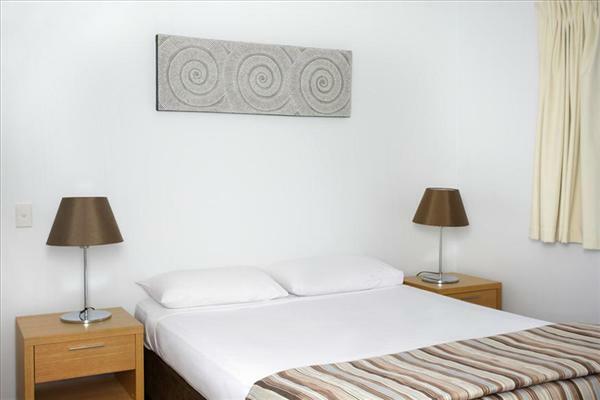 The apartments are well appointed, furnished with their own special style, giving them a light and airy feel. In the 1 bedrooms the kitchen's have basic cooking facilities with microwaves, sink, stove top & the use of the outside BBQ area. Studio rooms have tea & coffee making facilities, a toaster & microwave. Each apartment has its own balcony or patio, wide screen digital television & DVD player & Austar. All rooms are air-conditioned, including the bedrooms. There is a basement secure parking area, baby sitting, tour desk, internet kiosk & guest laundry. Byron Bay's shopping precinct, restaurant's & night clubs are an easy 8 minute walk into town & the beach is just a short walk via a bush track down to Belongil Beach, otherwise Main Beach is only a 10 minute walk. Bedroom & Bathrooms Studio Apartment: 1 King zip bed (can be separated twins). Bathroom with shower. 1 Bedroom Apartment: 1 Queen size bed. Bathroom with shower. 2 Bedroom Apartment: 1 Queen size bed, 1 king zip bed (can be separated twins). 2 bathrooms with showers. Apartment consists of an interconnecting studio & 1 bedroom. From The Byron Bay Visitors Centre head north, turn left at the roundabout, turn right at the next roundabout & we are located on the right hand side of the road, on the corner of Shirley & Milton Sts. Available with one queen + one sofa. Features air conditioning, balcony or patio, ensuite, kitchenette with cooking facilities. BOOKINGS FOR SAME DAY ARRIVALS MUST BE MADE DURING RECEPTION HOURS. Rates are for 2 people. Extra adults $35.00. Extra children $35.00. The room caters for a maximum of 3 adults, and a maximum of 2 children but cannot exceed 3 guests in total. Cot Hire $10 per night. High Chair Hire $5 per night. A 2 Bedroom Apartment is a 1 Bedroom which interconnects with a Hotel room. 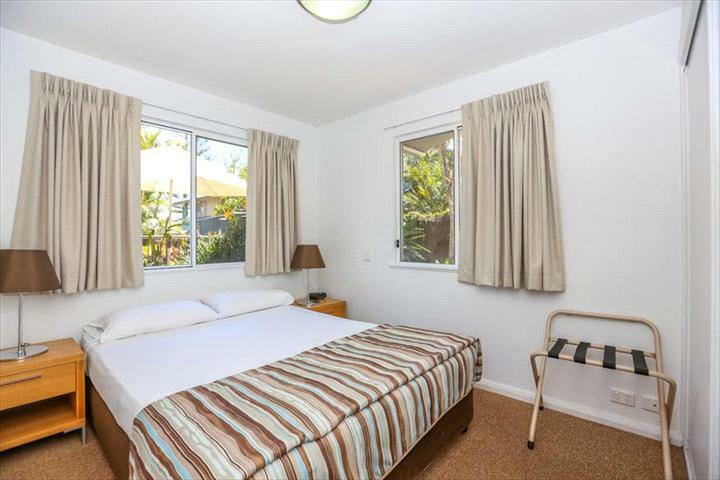 Features air conditioning, balcony or patio, ensuite, kitchenette with cooking facilities. BOOKINGS FOR SAME DAY ARRIVALS MUST BE MADE DURING RECEPTION HOURS. Rates are for 4 people. Extra adults $35.00. Extra children $35.00. The room caters for a maximum of 5 adults, and a maximum of 4 children but cannot exceed 5 guests in total. Available with one king [zip]. Features balcony or patios off all rooms, hair dryer, air conditioning, cable tv, dvd player and kitchenette with limited facilities. BOOKINGS FOR SAME DAY ARRIVALS MUST BE MADE DURING RECEPTION HOURS.